Mackenzie learned to ride with Nancy and Twin Oaks from a young age, and returned after college to teach lessons and camps at Twin Oaks. 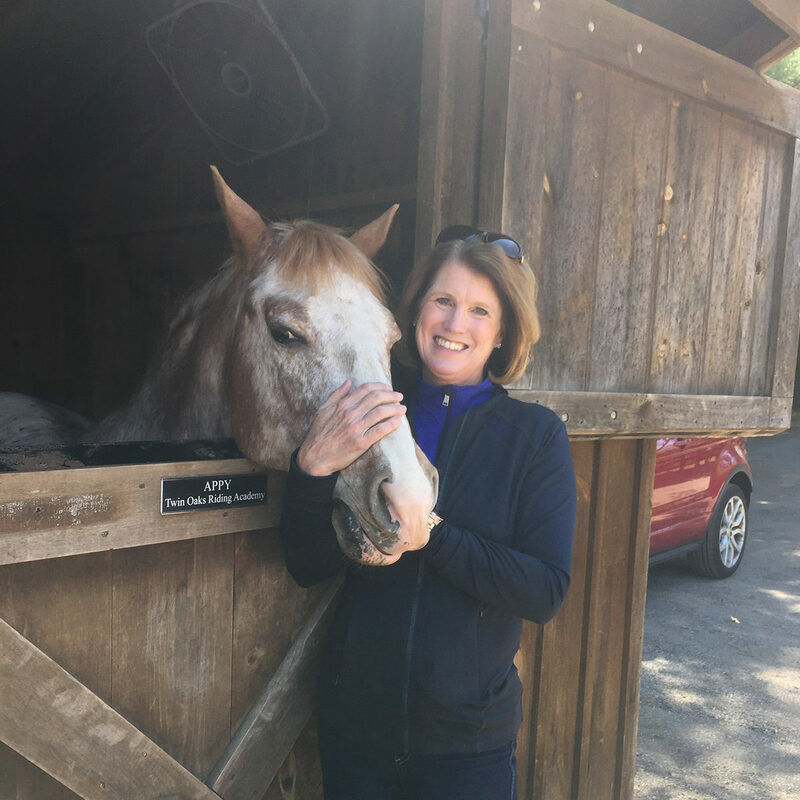 In April 2015, she acquired the business from Nancy and has continued to provide quality lessons and camps and taking excellent care for the Twin Oaks horses. Mackenzie concentrates on teaching correct equitation and proper horsemanship to all her riders to create a well rounded equestrian education. 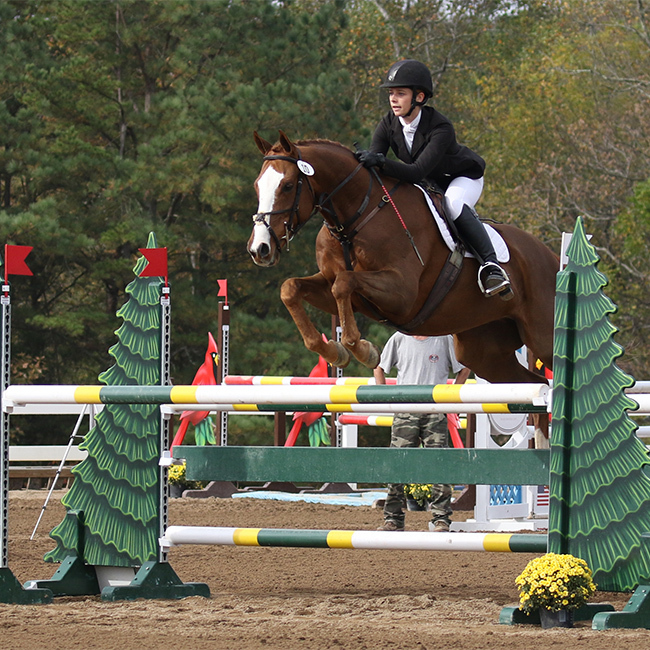 Katie became enchanted with horses with her first lesson in Upstate New York at age 5. Much of her early experience was with Pony Club, and she has achieved her C3 rating and competed at Pony Club Championships. She discovered what a joy it is to teach others and build confidence with beginner riders! 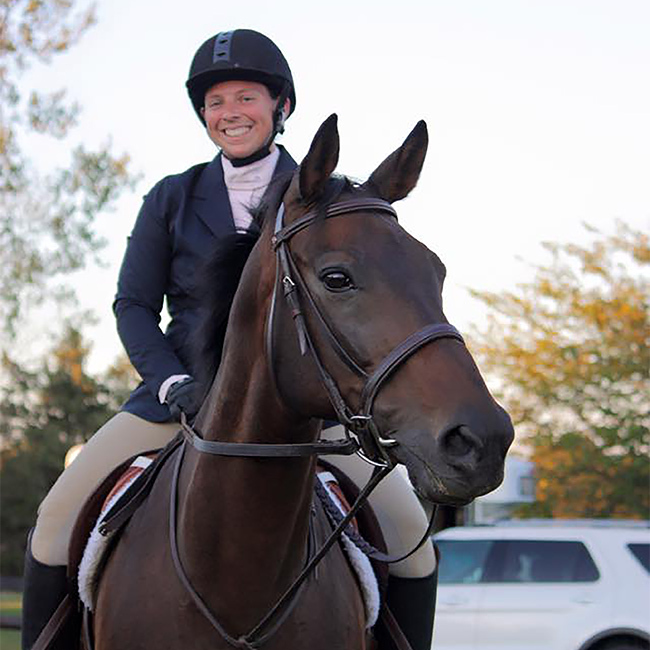 Katie has competed up to the CCI* level in Eventing and is now bringing up her young off-track Thoroughbred “Risk It” as an Eventing prospect. In addition to her equestrian endeavors, Katie is working towards a degree in Veterinary Medicine. 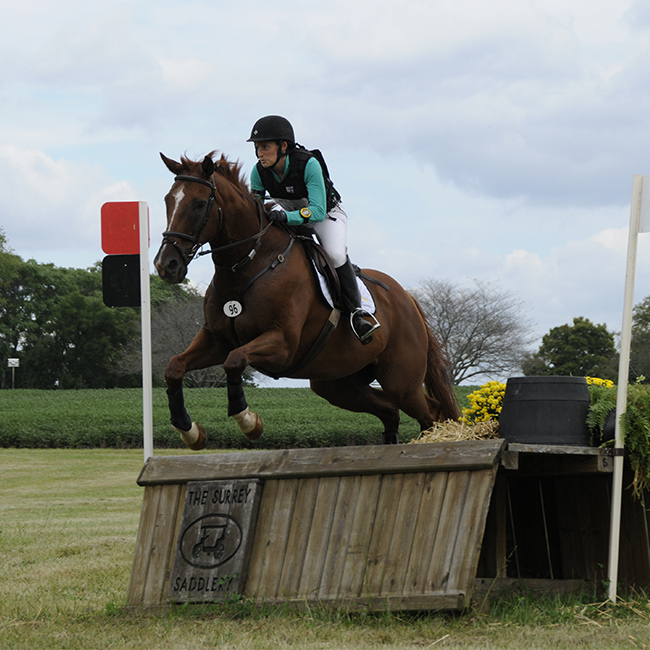 Nancy started riding as a pre-teen in Rochester, New York and competed in hunt seat equitation and show jumping through her high school years. Nancy completed two years in the Equestrian Studies program at William Woods College in Fulton, Missouri before transferring and finishing a degree in business management. Nancy started her first riding school in Kingwood, Texas that focused on beginner and intermediate English lessons and camps. This began a 30-year career of training riders in establishing a secure seat and sound fundamentals in safe and enjoyable horsemanship. Her husband’s work transfer in 2000 brought her to Northern Virginia where she founded Twin Oaks Riding Academy. Nancy sold the academy to MacKenzie in 2015 before moving to Texas for another job transfer. Nancy returned to Virginia in 2018 after her husband retired and she has been teaching at Twin Oaks ever since. Nancy is particularly effective at helping riders correct problems in their position and technique and is driven by a love of the sport and a desire to help riders enjoy it also. “Every time I walk into the arena, I am filled with a particular happiness that no other activity can provide”, she says. Susan began riding at a young age and has been riding and working at Twin Oaks for over 10 years. She is an integral part of our Summer Camp program and serves as the head camp instructor. Susan is also a dog trainer with Sit Means Sit Training! I am a Pony of the Americas who is 18 years old and 13 hands tall. Check out my awesome color pattern, especially on my backside! I have been a lesson horse before and a great teacher for beginner riders. My talents include finding food, teaching riders to be assertive, and keeping my stall tidy. I am a Connemara cross, 10 years old, and am really friendly. I like to whinny “hi” to horses when they walk by my stall. I love jumping, and have a lot of fun with my riders! I love my friend Peaches. I’m a dark bay pony that’s about 13 hands tall. I am great with beginners and riders learning to canter and jump. I’m a little shy, but everyone says I’m so cute! I’m a Connemara and everyone says I’m really cute. I’m 15.1 hands and have a nice, thick tail. I’m pretty easy going and friendly! When I get bored I paw at the ground to get your attention. I’m a 15.2 hand Thoroughbred, and I love to jump!  Before I came to Twin Oaks, I competed extensively on the A/AA Hunter circuit. Now I am enjoying a quieter kind of life with the lesson students here. I am mostly ridden by the more advanced students, but I’m very sweet and love visitors. I’m about 15 years old and an Appendix Horse. I’m a fleabitten gray. I am great with riders who are learning to jump. I have a nice canter and like my new life here! I came to Twin Oaks in December 2017. I am a tall Bay Thoroughbred with really nice gaits. I am great for learning to jump and I take care of my riders. Let’s be friends! I’m a cute POA pony, like Appy, but I’m a leopard Appaloosa. I have fancy gaits and even though I’m small, I jump really well! Come meet me in my stall and tell me I’m pretty. I’m a chestnut Morgan/Quarter Horse gelding. I am really friendly and laid back! I’m very social and like to be with my friends. I have smooth gaits and riders feel very comfortable on me, and I love being here! 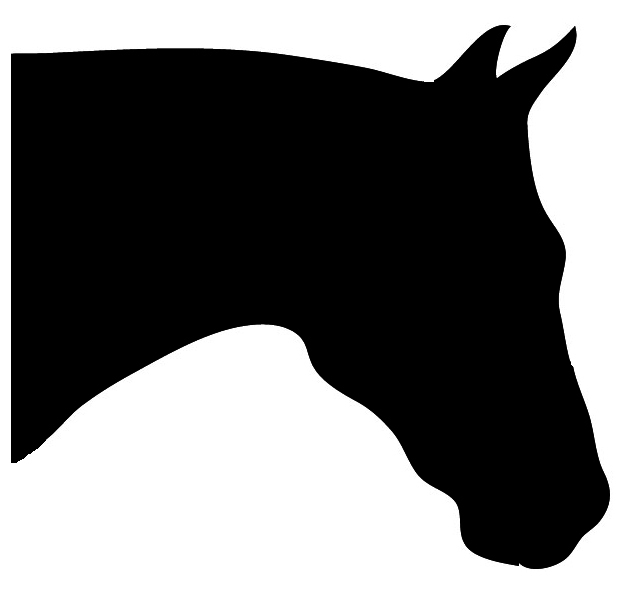 I am an off-track Thoroughbred who raced until I was 7. Even though I raced a lot, I’m super calm and love my new job! I am ridden by more experienced riders and like going on trail rides, jumping, and going cross country. I have been a lesson horse for many years and am now enjoying my retirement with new friends and a nice big field in Purcellville! I am 30 years old and super sweet.